Digitalization and Technology are both under-utilized when it comes to solve the diversity and the gender equality challenges we face. 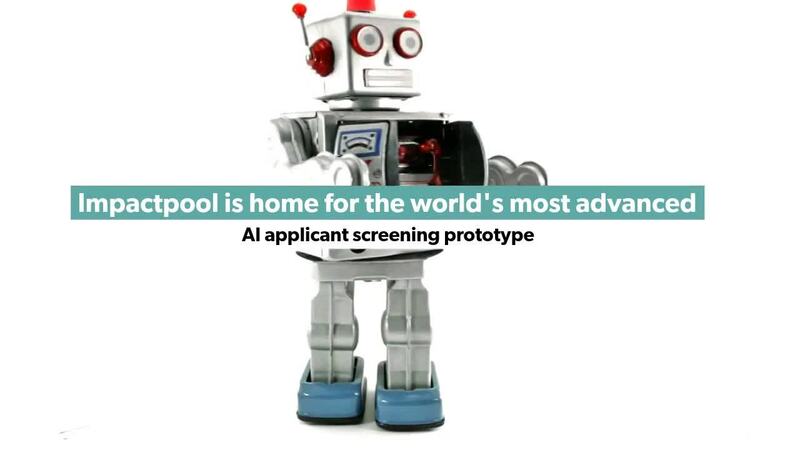 Now, Impactpool applies for public funding to take their AI-algorithm to its next level and to establish the Fair recruit and search console. A recruitment algorithm trained on impact jobs and on global impact talent profiles to better handle bias related to culture, age, name, nationality, gender, sexual orientation, disabilities and more. Now you can join force and build the Fair recruit and search console, exclusively built for the impact sector. Just submit the form at the end of the article and let us together hit the ground running. Join our newslist to ensure that you receive all articles, debates, discussions that are posted here by professionals who just like you are passionate about streamlining and improving HR in international organizations. It takes courage and decisiveness to move forward! Impactpool is the leading global career platform for talents and organizations who are striving for and contributing to sustainable development.